Discos en vinilo y CD de P&P US. 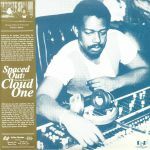 Review: Originally taking form as Universal Robot Band's dreamy instrumental disco cut "Thyme" in 1977, within a year of its release Patrick Adams invited Marta Acuna to add suitably yearning, hazy vocal. 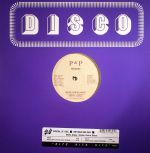 Adding to the silky groove's allure without taking any of its original soul, Marta elevated an already pristine track into a real moment that embodies the deeper, most soulful aspects of late 70s disco. A highly authentic P&P reissue.